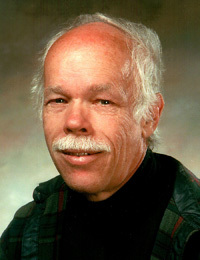 The American Physical Society (APS) has awarded the 2012 W. K. H. Panofsky Prize in Experimental Particle Physics to William Atwood, adjunct professor of physics at the University of California, Santa Cruz. The award recognizes Atwood "for his leading work on the design, construction, and use of the Large Area Telescope on the Fermi Gamma-ray Satellite, enabling numerous new results in gamma-ray astrophysics and fundamental physics." Atwood played a central role in the conception and development of Fermi's Large Area Telescope (LAT). The LAT is one of two instruments onboard Fermi and is the most sensitive and highest-resolution gamma-ray detector ever launched. The Fermi Gamma-Ray Space Telescope, formerly called GLAST, is an international and multi-agency space observatory that studies the cosmos in gamma-rays, the most energetic form of light. At UCSC, Atwood is a member of the Santa Cruz Institute for Particle Physics (SCIPP). SCIPP researchers led by UCSC physicist Robert Johnson developed the LAT's tracker and electronics. SCIPP director Steven Ritz, who served as project scientist for Fermi and is currently deputy principal investigator for the LAT, has been involved in the project since 1996. "Thanks to Bill's pioneering work, along with the efforts of thousands of people worldwide, Fermi has been a great scientific success," Ritz said. "In just these first three years, Fermi has given us surprises and new insights across a wide variety of topics. Its discoveries include dozens of pulsars observed to pulse only in gamma rays, powerful flares from the Crab nebula, enormous gamma-ray-emitting bubbles near the center of our galaxy, breakthrough results on the origin and propagation of cosmic rays, important new constraints on dark matter and tests of fundamental physics, and more. And the best is yet to come!" The Panofsky Prize will be presented to Atwood at an awards ceremony at the APS meeting in Atlanta in April 2012. Atwood will also give an invited talk at the meeting. The prize was established in 1985 by friends of W. K. H. Panofsky, director emeritus of the SLAC National Accelerator Laboratory, and the APS Division of Particles and Fields, Stanford University, and SLAC. Awarded annually to recognize and encourage outstanding achievements in experimental particle physics, the prize consists of $10,000, a travel allowance, and a certificate. Atwood also received the 2011 Bruno Rossi Prize from the American Astronomical Society in recognition of his contributions to the Fermi space telescope.